“Work hard and you’ll become successful.” How many of us have heard that advice and followed it hoping that it’d work? You work overtime and you put in extra hours to get some extra cash. You’re tired and stressed from working hard day after day, yet nothing seems to change. “Why am I not successful yet” you ask? While hard work and serious effort is indeed important, reality is far more complex. Here are seven reasons why you still haven’t made it. If you can’t answer that in concrete, time-based and measurable terms, you can never be successful. Why? Because nothing you do would lead to “success.” Like what Robert Collier, author of “The Secret of the Ages” said, many of us are like a drowning man. We use up a lot more effort than normal as we struggle to stay afloat, and we still end up going nowhere. You likely know what that’s like: Work, get salary, pay bills, work, get salary, pay bills… repeat until you retire and or die. Again, you work VERY hard at your job, you struggle with deadlines and requests, you deal with stress and pressure day after day… and for what? What are you working hard FOR? To spend more on entertainment and “stuff”? Is that “success”? Again, what does success mean to you? What are your goals? Do you want to have over $10 million in net worth? Earn several thousand dollars a month in passive income and escape the rat race? Spend more time with amazing family and friends? Be in great health and run a marathon at sixty years old? Have your children graduate from the top universities and land great careers? Live long enough to see your grandchildren get married and have kids? Similar to how a magnifying glass can focus sunlight on a certain point to create fire, you can accomplish more when you focus your energy at a certain goal or desire. Take some time right now to write down your goals, or review the goals you’ve already made for yourself. Focus on them, and then find the way to make them happen. Some people are comfortable with terrible and abusive coworkers and clients. Some people are comfortable with 3 hour commutes to and from work. Some people are comfortable with working 9am-8pm with overtime at a job they hate, just to earn enough to pay the bills. Instead of moving to a different company or career where they’ll find better coworkers and a better salary, they simply complain about everything. Day after day, month after month, and year after year. What are you comfortable at? Take notice of everything you have in life. From your work or career, your business, your relationships with friends and family, your health, and everything else. Can anything get better? Can you find a better job with better pay and benefits? Can you improve your business by marketing to better customers? Can you start avoiding friends and family who love to put you down when you succeed and start hanging out with those who will support you at what you do? Can you improve your health by learning to cook and eat healthier foods instead of having takeout or frozen pizza all the time? We are where we are because that is exactly where we want to be, whether we admit to it or not. What we do, what we work for, and what we get depends on what we’re comfortable with. Change and improvement is uncomfortable at first, but we’ll grow with it when we start. Albert Einstein said that the definition of insanity is doing the same thing over and over again and expecting different results. Like a beggar screaming louder to get more alms, working harder at what DOESN’T work will simply waste your time and effort. You don’t need to change your goals, but you MIGHT need to change the way you GET to those goals. For example, if there’s a mountain cliff in your way and trying to drive over it doesn’t work, should you try ramming your car through the mountain cliffs over and over again? No. You’d likely look for another path around it. You can even look for a different path over that mountain, or you can dig a new way through. It’s the same in your business and career. Just think: Should you try to sell the same stuff to the same customers and be more aggressive with your marketing, or should you try to look for new customers or sell new products? Should you keep doing the same work over and over again, or should you learn new skills, lead new projects, and do other valuable tasks to be next in line for promotion? You have to make positive changes in order to get positive results. How much time do you spend watching TV? Surfing the internet for funny videos? Watching movies? Eating junk food? Smoking cigarettes? Getting drunk? Gossipping with friends and neighbors? 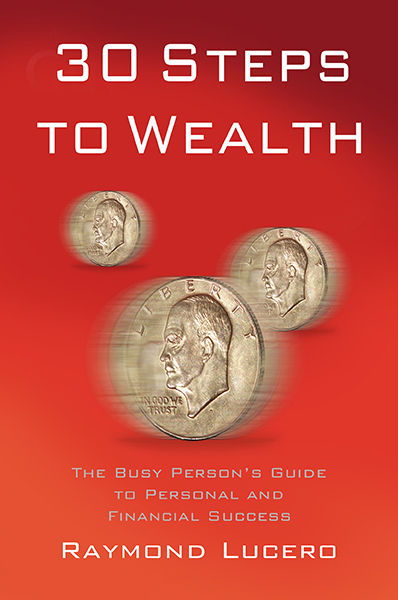 Now how much time did you spend reading about personal finance and things that can make you wealthy? When did you last read up on things that can make you more money, like investing in stocks and mutual funds, real estate, starting businesses, etc.? When did you last read and learn about leadership and management, interpersonal skills, and other things that could advance your career? Do you exercise regularly? Do you eat healthy food? Do you drink lots of water and sleep well every night? When did you last take a break from the “busy-ness” of life to refocus on your life’s mission? Do you review your goals? How much time do you spend finding ways to achieve them? How much time and effort do you spend to try and make them reality? Like a car driving around in circles, you can have fun feeling the wind in your hair, but you’ll simply see the same things over and over again while going nowhere. Don’t forget that the car will someday break down permanently. Stop wasting so much time on cheap entertainment and spend more time on the things that bring success. You’ll find more joy in life that way. You probably know some people who love talking about all their problems: their terrible bosses and clients, their bad health, family problems, relationship problems, expensive credit card bills, and more. You notice that every time you offer a possible solution, they instantly have a great excuse to not do it. They often listen to suggestions, but they never actually do it. Have you ever wondered why they do that? Here are two reasons. First, they’re already COMFORTABLE in misery. It’s CHANGE that’s uncomfortable for them. They’re scared of uncertainty and change, so every time you offer a solution, instead of thinking how they could make it work, they think of the reasons why they CAN’T. “What if nobody else hires me? What if I can’t find a new job? What if I get rejected by my friends and family?” That’s why they never try to do better. The second reason is that they don’t really want success. They just want attention and pity. You probably know people like that. They moan and complain every day yet they don’t really ask for help or advice; they simply want attention and validation. They think “pity” is equal to “love.” That’s one reason why they never change or improve. If they become successful, they’d lose all that, so they prefer failure. Now think: Do you do any of that? Whenever an opportunity arises, do you think of ways to make it work, or do you instantly look for excuses on why it will “never” work? Do you tend to like it when other people make excuses for your failures (because you think they’re “caring” for you)? Be very careful with this one. 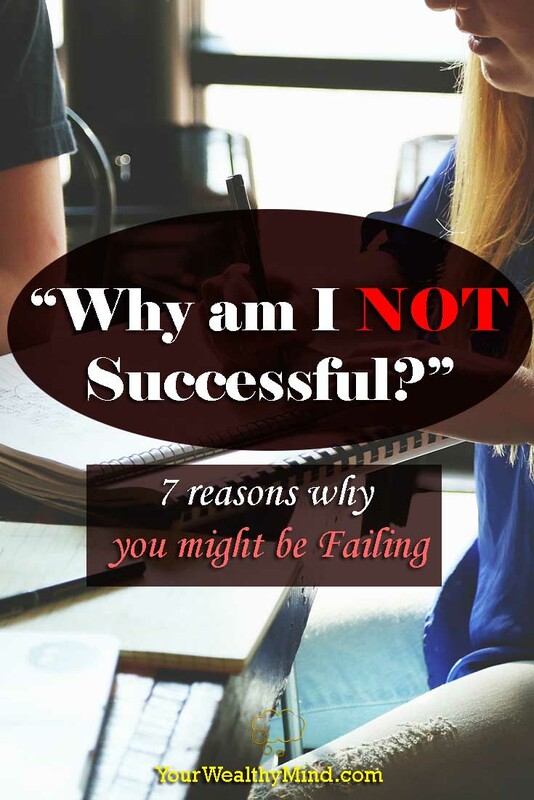 You might be unknowingly justifying your own failure. It’s said that you need to put fuel before you can expect heat. This is one lesson I learned from T. Harv Eker: Many people want to become millionaires, but what they really mean by that is they simply want a million dollars to fall from the sky and land on their laps and bank accounts. Few are actually willing to do the work needed to actually EARN that wealth. Are you willing to wake up early every morning to do 100 push ups, sit ups, squats, and run 10 kilometers? Are you willing to stop eating take out pizza every meal and learn to cook healthier food? Are you willing to knock on the doors of a hundred businesses around town to get that better job? Are you willing to send proposals to three hundred potential clients every week? Are you willing to get rejected three hundred times before you get that big success? Are you willing to save every month for decades to earn money from investments? Are you willing to quit your job to start that business? Are you willing to go out there and talk to a thousand people looking for clients and potential business partners? T. Harv Eker said that if do only do what’s easy, life will be hard. If you can do what’s difficult, then life will be easy. Are you willing to do what you need to succeed? This is the final hurdle that most people face. Certainly, they’re read a hundreds books and a thousand articles and they’ve gone through dozens of seminars and took several classes. Then what? They wait for the perfect opportunity, or they decide to “keep studying” until they “master” the subject. They do all they need to do to prepare… and yet they never start. You might know what that’s like. You’ve studied the books, learned the skills, and started practicing test runs. You’ve planned for that career move, you’ve written that business plan, and you’ve made the proposal letters. You know what you need to do. You say you’re willing to do everything necessary to succeed, no matter how difficult it is. Alright. When will you start? If you find that you’re overwhelmed by fear and the amount of work you need to do, remember to start slowly. You don’t need to finish EVERYTHING all at once. Take your time, and keep going. Build momentum, and your world will start changing for the better. The journey of a thousand miles starts with a single step. You can start small, but you have to start now! Those are just some of the main reasons why people don’t succeed. Of course, another more positive reason is that most great achievements simply need time. Like what Jack Canfield said, success doesn’t happen overnight. If you’re already doing the right things (persistence, innovation, self-improvement, etc. ), then keep going! You’re bound to succeed eventually. HI Ray, You covered a lot of reasons here that I know ring true in different people’s lives that I observe who are not being successful. I think number 2 (being comfortable with what they have) and number 3 (not changing) are two of the biggies. But of course, the top one of no goals is paramount to everything else – I mean having goals needs to come first. We must also change the paradigms that we have in our subconscious that hold us back from succeeding. I’ve been learning a lot about that lately. Finally, I believe we need to really be loving what we are doing so that we wake up each morning excited to get to what we are going to accomplish that day – moving toward our goals as we help more people. I look forward to reading more of your tips. Thank you! Indeed, it’s the paradigms or mindsets that we have which bring us to either success or failure. Some people learned to differentiate between what works and what doesn’t and act accordingly, and that’s why they succeed. I certainly agree with having a passion or purpose in life too! That’s what separates the best from the rest. Glad you enjoyed reading! I’ll have more for you soon! Great post. Sometimes I need to read posts like this because I begin to evaluate my own life and make sure that none of these things apply to me. Most of us want to have better lives, but like you said in the article, we have a price to pay. I realize that and I am willing to pay by taking time to read stuff like this to keep me on my A game. Glad you enjoyed it! I also made that article to remind myself to keep going and working. Number 4 is my biggest issue right now. In any case, thank you for reading! I like your dreamsare4real website too!